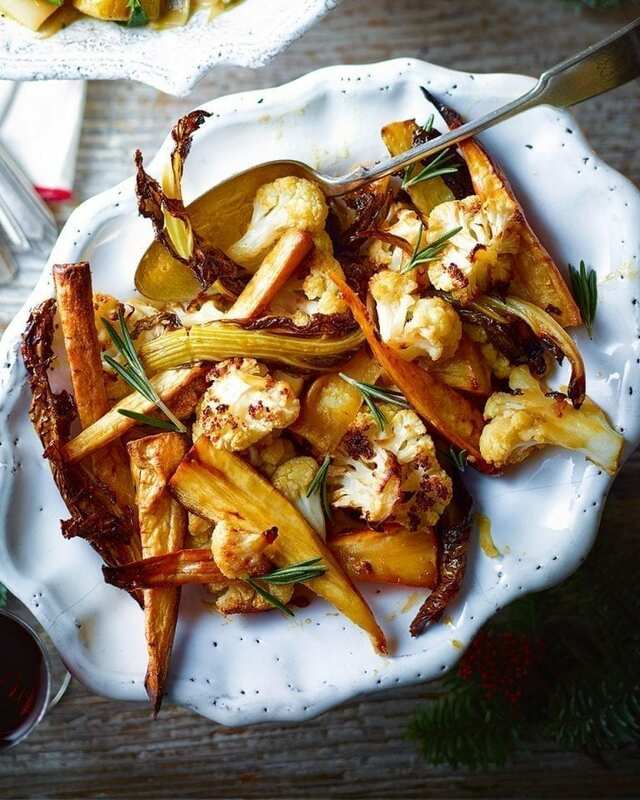 The natural sweetness of the caramelised winter veg pairs perfectly with a drizzle of slightly salted caramel sauce. Trust us – you won’t be able to stop eating this sticky sweet and savoury side dish. Heat the oven to 200°C/180°C fan/gas 6. Drizzle a generous glug of oil into a large roasting tin. Add the cauliflower and parsnips, season with salt and pepper, then toss together to coat the veg in the oil. Roast for 30-35 minutes until starting to brown. Remove the veg from the oven. Drizzle the caramel sauce over the top of the veg, toss to coat and sprinkle with a little more sea salt. Return to the oven for 15 minutes until golden and cooked through. Serve scattered with the parsley. Prep to the end of step 1 up to 12 hours ahead and chill in sealed food bags covered with damp kitchen paper. Or, 2-3 hours before serving, roast the veg for 30 minutes (step 2), then remove and stir in the caramel sauce. Keep covered, then roast for 15-20 minutes until crisp before serving.